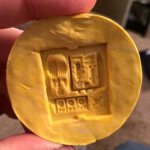 Making a dead-simple one-sided mold of a rare bit and casting it in resin. Ever have one of those bits you wish you had more of? Or maybe a base you liked and wanted to knock off a couple to mix into the rest of your army? 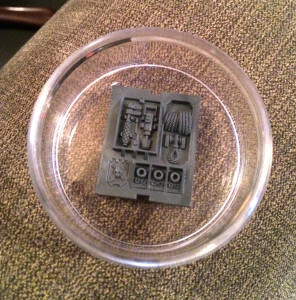 I’m not talking about doing a full 3D, two-sided cast to duplicate space marine legs or a grav pistol; I’m talking about a quick and simple duplicate for aesthetic/conversion purposes. First up, you need some kind of mold agent. In my case, I picked up some simple Amazing Mold Putty at a big box art store at some point down the road. This particular rubber is firm, but flexible, and really simple to mix by hand. It’s not even remotely messy, and has a generous work time coupled with a short cure time. It’s perfect for this kind of work. 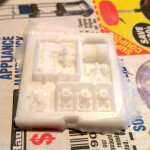 The downside is that it’s not ideal for two-part molds, and is only marginal for push-molds like the type you might use for Green Stuff duplicating. I won’t get into that in this article, but keep in mind different molds work better for different purposes. Any two-part pourable resin should work for our purpose. They vary in work time and cure time, and final hardness. 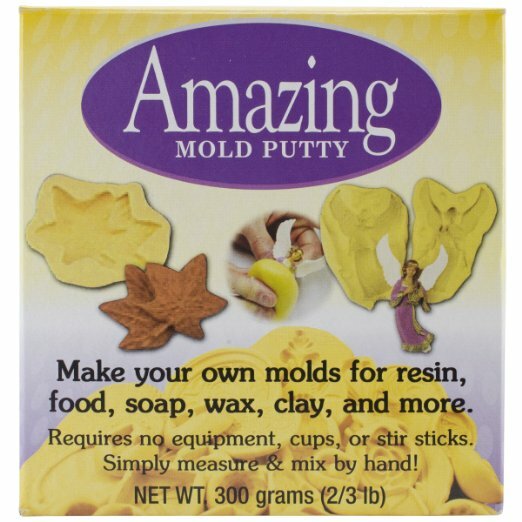 You’ll also need some resin to pour into the mold itself. 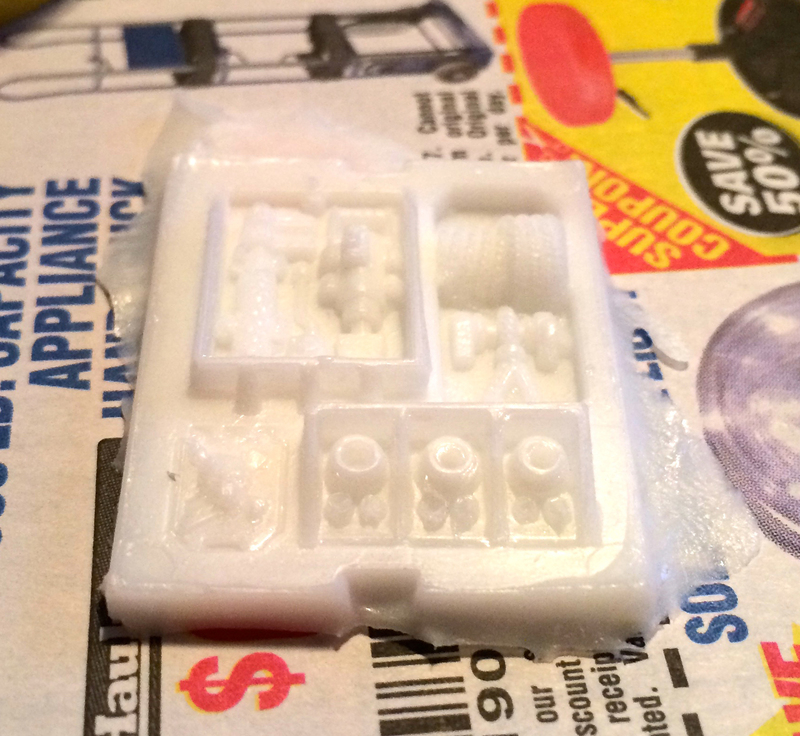 In my case, I bought the same company’s stuff at the same store when I got the mold putty. 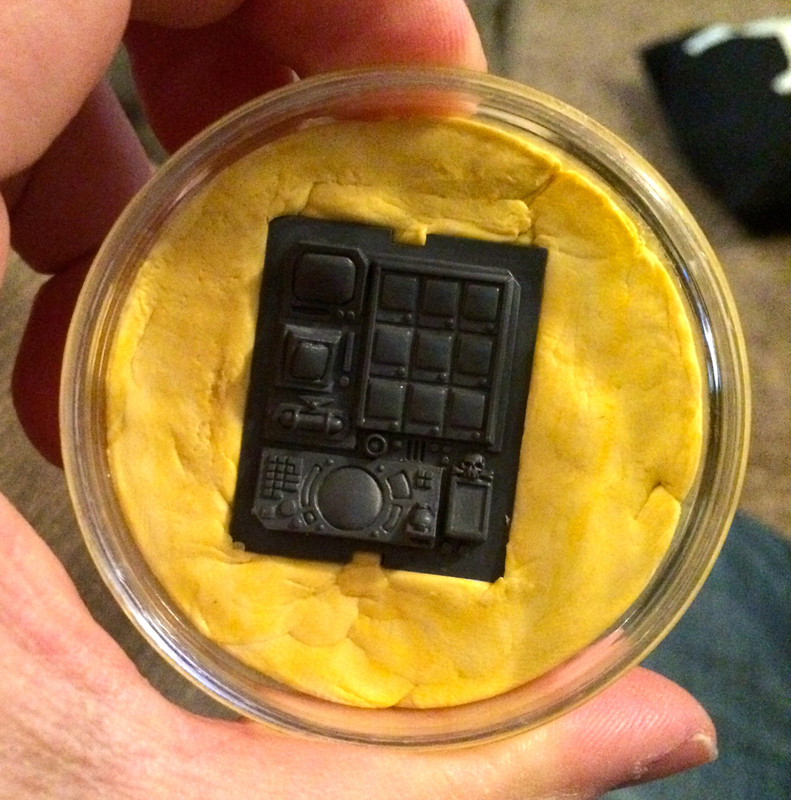 It’s called (generically enough) Amazing Casting Resin and it’s made by Alumilite. I did absolutely no research at the time, but it’s not bad so I’ll use it all up before I shop for more. It has a really short work time, but it cures pretty quickly and it hardens to a plastic that’s a little softer than the gray Games Workshop stuff. It remains somewhat flexible in thin bits, which I actually prefer. 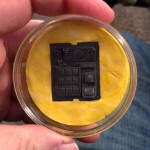 I think for making simple copies of bits like the one I’m going to show you, just about any resin will work, but this one’s a fine example to start with; cheap and available as it is. 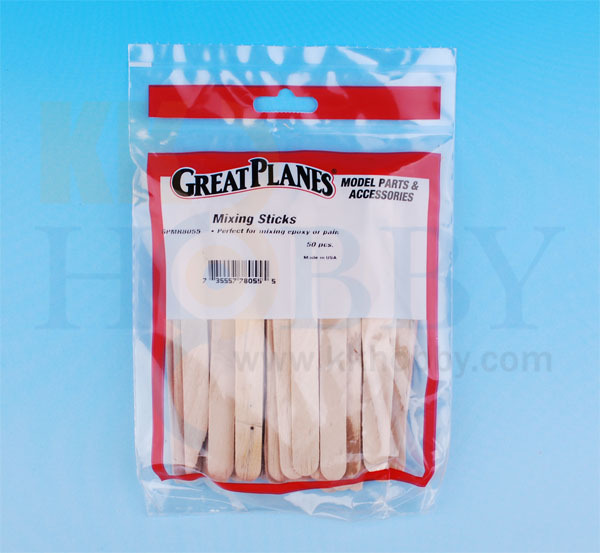 For mixing and pouring the resin, pick up some little disposable plastic shot glasses and some kind of mixing stick. For both of these, just about anything will do, but try not to use toothpicks to mix the resin as they don’t push a lot of liquid around. 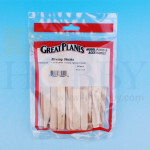 However, if your wooden sticks are on the larger side, do grab some toothpicks (cocktail sticks) as well for dislodging bubbles. 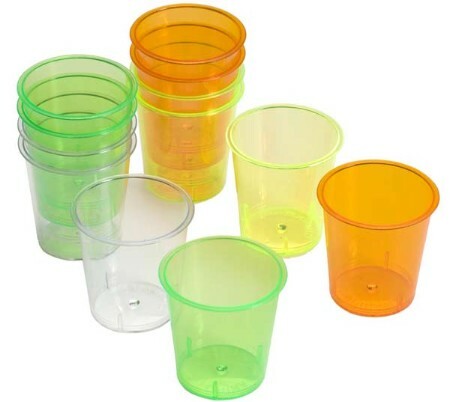 Disposable shot glasses. The cheaper the better. Some kind of flat stick to mix the resin. 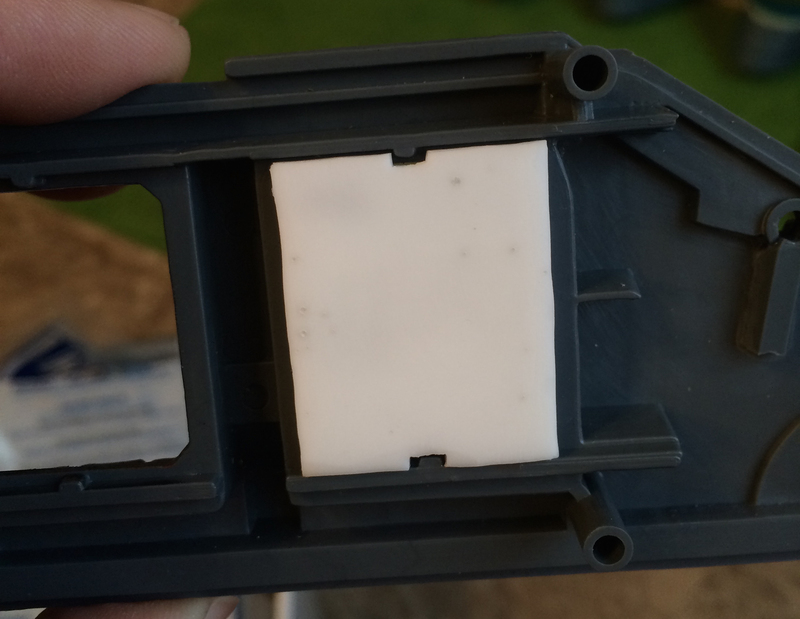 First, how NOT to create a rubber mold. I have to show you this so you can learn from my mistakes. I must confess, I was a little distracted when I made my first mold. My fiancée was playing Fallout 3 and it must have been a good part, because I wasn’t paying a lot of attention. I mixed together the putty and spread it around the bottom of the dish, and pushed the piece down into it. This looked so pretty at first but it was wrong, and you can see why after I demolded the piece. Sad trombone… Look at the detail that didn’t make it. How to properly create a rubber mold. 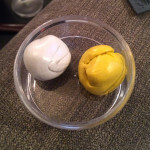 Grab two balls of each color putty. Break off little pieces of the putty and push those onto the piece you’re molding. Make them as small as you’re comfortable with (maybe fingernail sized) and build a good layer. THEN you can put it down onto a bed of putty. Wait a good half hour to cure, just to be safe. Once you’re done, you should see fairly crisp details like this. The key here is to push little bits on at a time, so you can visually see it push into the cracks. You can really push down pretty hard as well, knowing you’ll be adding more on top later. Once you’re sure every bit is covered, then and only then do you put the whole piece upside down over a bed of fresh putty in your container. It’s not as pretty this way, because it was already starting to firm up by the time I put it into the container, but the most important part came quite well. 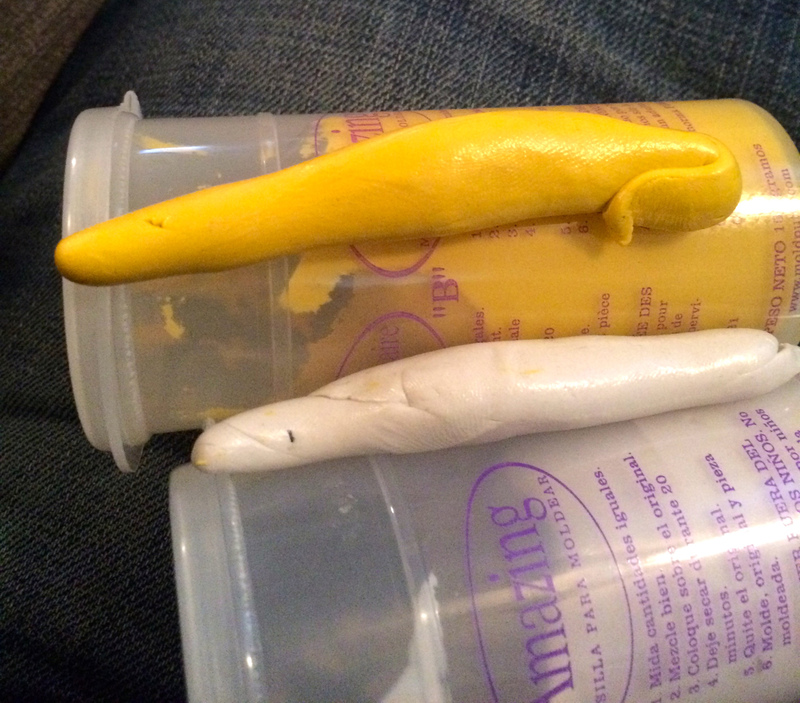 The rest of the putty is just there to make the final mold a bit firmer. Once you demold, have a quick look around and see if anything seems off at all. You can make small cuts at this point, but you can’t really add anything to it. Mixing and pouring the resin, step-by-step. I’ve been using my resin for a while now, and I still don’t completely trust myself with it. I overcompensate for the messiness, because I almost destroyed my Knight’s legs with the stuff, and in the panic of spilling it I got it on the floor and the sink of my apartment. It’s not fun to clean up. So, first things first, lay down a ton of newspaper. Don’t be ‘too cool’ for this step, or I swear to you Murphy’s Law will make a fool of you at some point. I use three separate cups for mixing, and you can use four even if you’re doing something very delicate or important that you want to get right the first time, for sure. Get all your stuff around you before you start. The two resin parts, 3 or 4 shot glasses, mixing stick, toothpick and of course your mold. Give yourself elbow room and a little extra for nerves. You’ve got to work quickly, but surely. Take a deep, calming breath. No seriously. Do it. 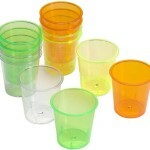 Pour equal parts of both colors of resin into little disposable shot glasses. If you have different colors, try to use one color for one and one for the other, so you can keep them for later use. Some people measure these out with complicated math formulas and weights, but for a quick and dirty job like this you should be able to eyeball it pretty well. Resin can be expensive, so try to give yourself just a little extra. If you want a quick measurement, pour water into your mold until it’s as full as you want, and then pour that into a shot glass to see how much there is. You want about half that in each color, but keep in mind some will stick to the sides of the glass so don’t be too stingy. Pour both parts of resin into one glass and carefully mix them with your stick. Don’t go nuts on that thing, because any bubbles you generate will tend to stay in the thick liquid. You don’t have a lot of time, so you want to be thorough without moving the stick too fast. With a flat stick, you can sort of scrape around the outsides and sweep it back and forth through the center. Your resin will probably start to change color in the cup, but don’t panic. Mix it for about 30 seconds or so. This is where the fourth shot glass comes in if you’re trying to get it just right. Pour all this into yet another glass, as this will help get any bits that have escaped your attentions and create a more homogenous mix. I didn’t bother with this step, since this piece wouldn’t ever be clearly visible very closely and I wasn’t all that concerned with an odd air bubble here and there. 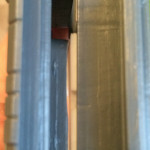 Once it’s mixed, put your stick down in one corner of the mold and pour the resin onto stick so it drips slowly down it. 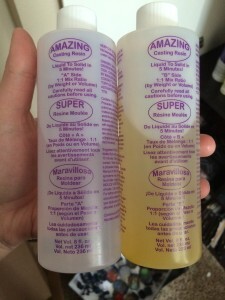 This will reduce air bubbles from splashing it in too quickly and harshly. 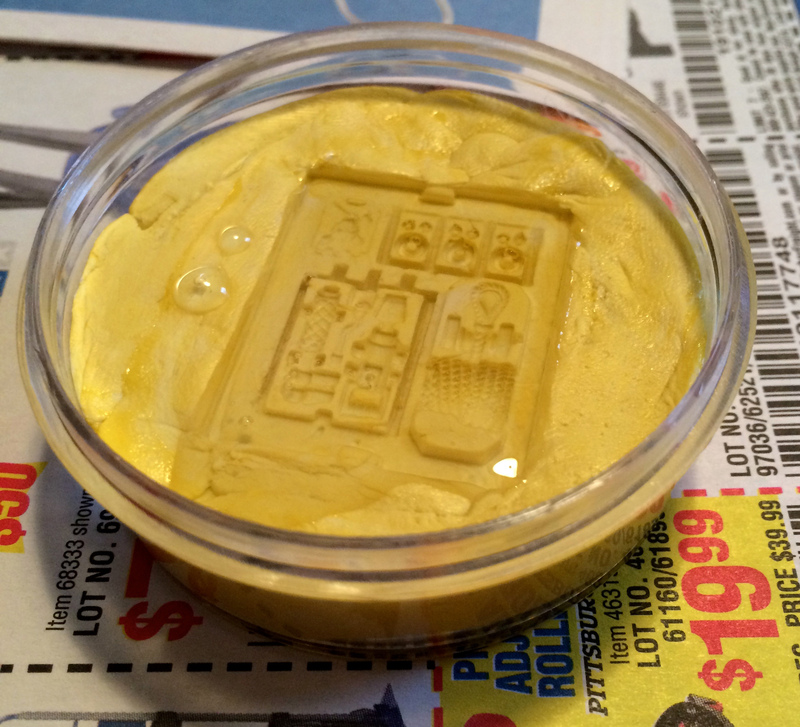 It should still be clear at this point, so once you pour the resin in (don’t overfill it if you can help it, but don’t sweat it too much if you color outside the lines a little) use your stick to nudge any visible air bubbles you see in the mold. They should rise to the surface where they won’t cause problems. If you have a larger/thicker stick, you might want to use that toothpick I mentioned earlier to dislodge bubbles. Keep watching, as some bubbles will form or grow as the chemical reactions take place. Until your resin cures, you can get in there and poke around a little bit with no harm done. Now leave it alone to cure for 15-30 minutes. 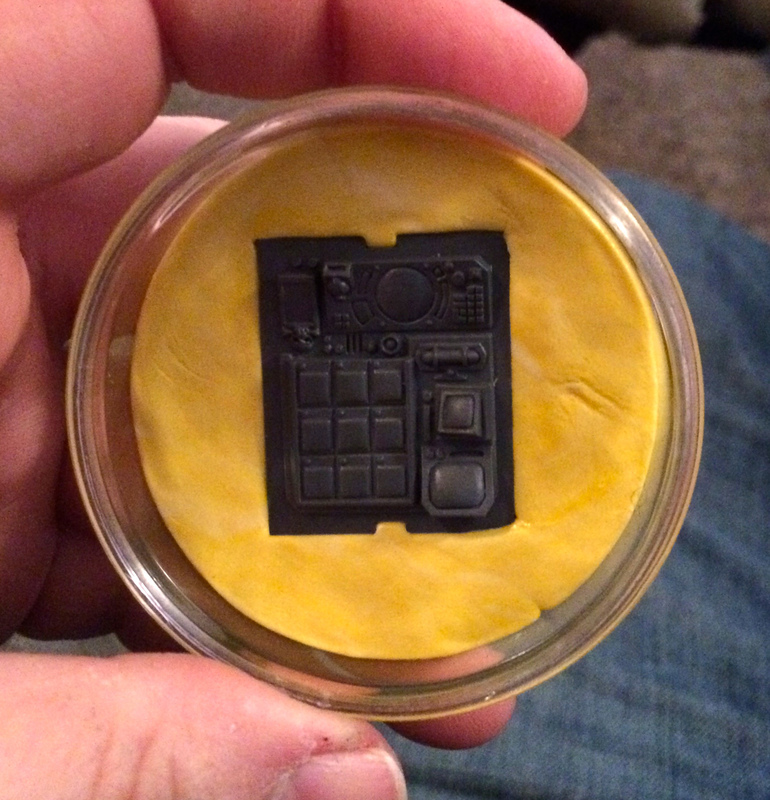 It’s really fun to watch it if your resin cures to a certain color. Mine turns white, as you can see in the video below. Resin is funky, in that the largest bits cure first. 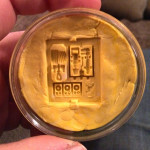 So, even if it looks pretty solid right away, give it plenty of time to cure all the little details that will be on the bottom of your mold (and thus, now invisible to you). Better safe than sorry. Once you finally demold, have a look and see if everything looks good. 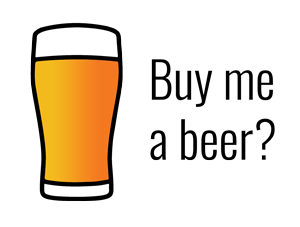 If not, feel free to reuse the mold and mix and pour again. You’ll want to use a fresh shot glass, but other than that everything is still right there for you. 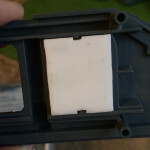 Better to make a couple if you’re not sure, as over time you’ll get much better at finding and rooting out air bubbles. Resin curing in the mold. This sort of white resin looks funky in pictures as it’s slightly translucent, which causes the details to look a little fuzzy. They’re pretty crisp, though. At this stage it holds its shape, but is still flexible. I suppose you could work that to you advantage if you wanted to curve something or even press detail into it with a sculpting tool, but your window of opportunity is very short as it will continue steadily to harden. After a couple of hours it will be quite solid, but still a bit softer than GW plastic. 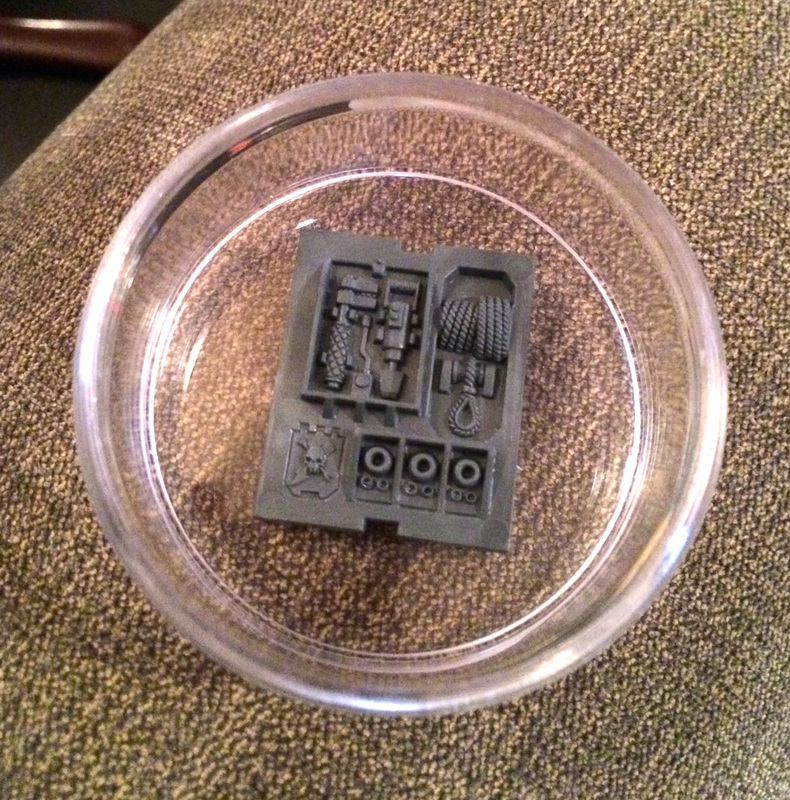 This type of resin isn’t brittle like ForgeWorld resin, but it all depends what you buy and what you intend to do with it. For my purposes here this is quite sufficient. In my case, I had to do a little trimming to get it to fit correctly. Of course, the tolerance for making mistakes was high here as most of this would be obscured in the final Land Raider build. All in all, this was a simple process and it didn’t take long at all. Test-fit after trimming excess and sanding the back a bit flatter. 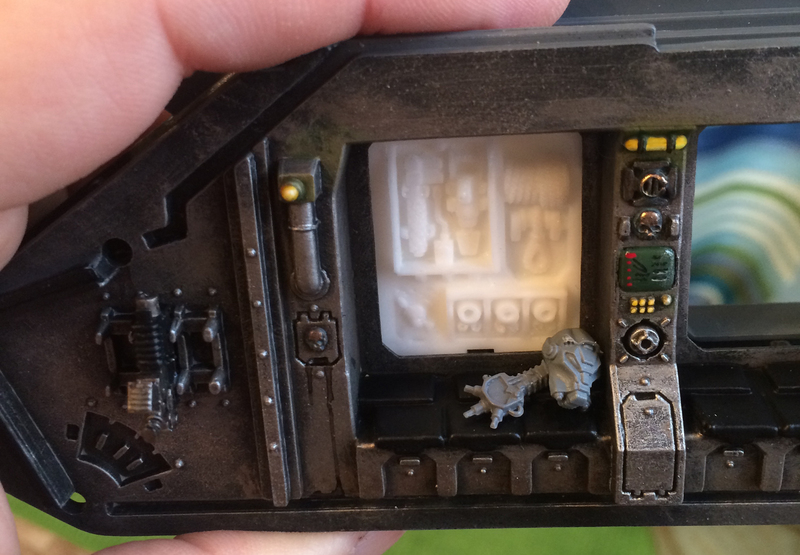 It was a bit thick, so I trimmed the back of the Land Raider outer panel that wouldn’t be visible in the final build. Final duplicate tool panel, pre-paint of course. 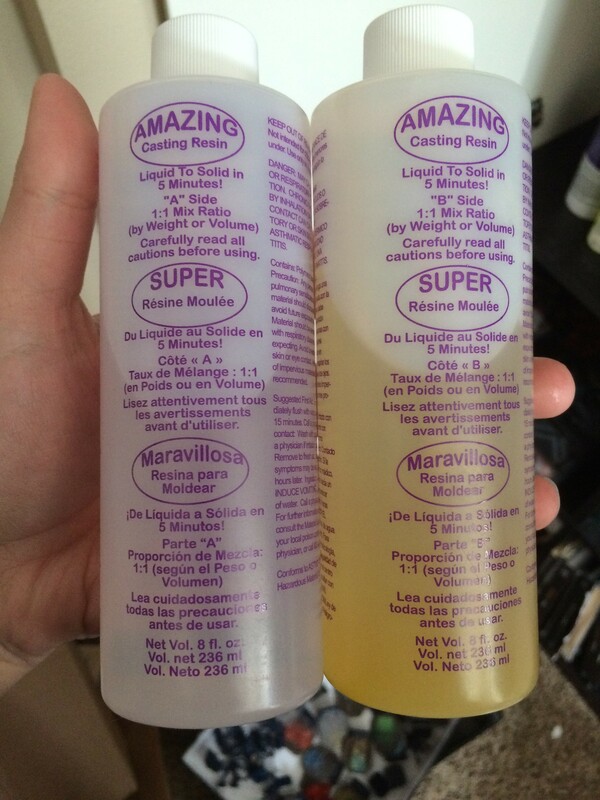 Don’t let yourself be intimidated by molds or resin. Start with a simple one-sided mold like this before tackling two-sided molds and complicated pours with vent channels and funnels. Once you get used to working with resin it will make those jobs seems much less nerve-wracking. In this case, I solved a problem that was bugging me with all basic tools I happened to have on hand. Even buying new, the materials were under $50 and will continue to last me for many more projects. 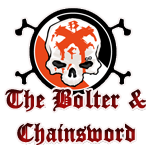 Hit me up with any questions you might have, or comments about how you do it differently or better. 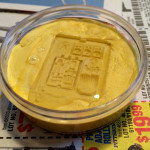 I’ll leave you with a fun video of the resin curing. Time-lapse photography is the coolest.